In the same way that the Topics page features links to articles organized by topic, this page links to articles organized by Bible verse. The centre column lists common questions related to that verse and links to articles with answers. The right column lists New Testament references to the verses. Why does a proper understanding of Genesis matter? For articles related to mixing Genesis with millions of years or evolution see the Creation Compromises Q&A page. This column lists common questions relating to the text and the article (s) answering those questions. Also included are articles about amazing features of God’s creation. 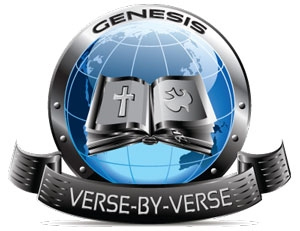 This column lists New Testament references to Genesis (plus a few from the Old Testament). How did the writers of the Bible understand Genesis? What is God really like? Is he the same God as those from other religions? Is Earth located anywhere “special” in creation? John 1:1–3: Jesus is first mentioned in Genesis 1:1. The pre-existent divine Word (Jesus) was the agent of God’s creation. His first miracle recorded in the Gospels was the creation. Turning water into wine at Cana was the first miraculous sign to His disciples. Acts 14:15: God made Heaven and Earth and everything in them. Romans 1:19–20: God’s power revealed through creation. 2 Peter 3:5-6 The Earth was formed out of water. Jeremiah 4:23: Judgment on Israel is an “uncreation”: so severe that it alludes to the time before God started forming and filling the earth. 3 And God said, “Let there be light,” and there was light. What was the source of the light since the sun wasn’t created until Day 4? How could the days of Genesis 1 be literal if the Sun wasn't created until the fourth day? Was Jesus there at Creation? 4 And God saw that the light was good. And God separated the light from the darkness. Who determines what is ‘good’? 5 God called the light Day, and the darkness he called Night. And there was evening and there was morning, the first day. Could the ‘days’ in Genesis be long periods of time? Six days or billions of years? If the sun wasn’t created until Day 4 how can the first 3 days be real days? How might Genesis be written if God created over millions of years? Evolution—It’s child’s play! God could have communicated evolution easily. How has the church historically understood Genesis? Did the early Church leaders and reformers believe the literal creation account given in Genesis? 6 And God said, “Let there be an expanse in the midst of the waters, and let it separate the waters from the waters.” Does the Bible say that the sky is a solid dome? Is the raqiya‘ (‘expanse’ or ‘firmament’) a solid dome? 7 And God made the expanse and separated the waters that were under the expanse from the waters that were above the expanse. And it was so. Does this support the idea that there was a layer of water vapour around the earth before the Flood? If there was no vapour canopy, what might the ‘waters above’ be? Creation for Kids: Heavens above! Water below! 9 And God said, “Let the waters under the heavens be gathered together into one place, and let the dry land appear.” And it was so. Is there evidence that the continents aren’t billions of years old? 10 God called the dry land Earth, and the waters that were gathered together he called Seas. And God saw that it was good. Is there evidence that the oceans were created recently? 11 And God said, “Let the earth sprout vegetation, plants yielding seed, and fruit trees bearing fruit in which is their seed, each according to its kind, on the earth.” And it was so. How old are the oldest living things? Don’t tree rings tell us the earth is older than 6,000 years? 12 The earth brought forth vegetation, plants yielding seed according to their own kinds, and trees bearing fruit in which is their seed, each according to its kind. And God saw that it was good. Is there evidence that plants (and therefore oxygen) was abundant when the earth was formed? 1 Corinthians 15:38: Each kind of seed has its own body, an allusion to their separate creation. 14 And God said, “Let there be lights in the expanse of the heavens to separate the day from the night. And let them be for signs and for seasons, and for days and years, How could “days” be measured without the sun? Was the Earth’s tilt different originally? What might cause it to tilt? Could an asteroid have tilted Earth’s axis? Did God create planets outside our solar system? What astronomical evidence supports a young age for the universe? 1 Corinthians 15:41: Paul tells us that the sun, moon and stars have different splendours, an allusion to their separate creation. 17 And God set them in the expanse of the heavens to give light on the earth, How can we see the light from distant galaxies? 24 And God said, “Let the earth bring forth living creatures according to their kinds—livestock and creeping things and beasts of the earth according to their kinds.” And it was so. Will there be animals in the new Creation? Does “according to their kind” mean that animals today are identical to those God created? 1 Corinthians 15:39: Paul tells us that humans, beasts, birds and fish have different types of flesh, an allusion to their separate creation. kinds and the livestock according to their kinds, and everything that creeps on the ground according to its kind. And God saw that it was good. “Beasts of the earth” would include dinosaurs. Is there evidence that dinosaurs lived recently? Dinosaur bones: Just how old are they really? Isaiah 11 and 65 refer to a future time where even ‘carnivorous’ animals are vegetarian, so they would no longer ‘hurt or destroy’. Commentators agree that this is an Edenic allusion. 26 Then God said, “Let us make man in our image, after our likeness. And let them have dominion over the fish of the sea and over the birds of the heavens and over the livestock and over all the earth and over every creeping thing that creeps on the earth.” What does it mean to be made in God’s image? 27 So God created man in his own image, in the image of God he created him; male and female he created them. Did humans come from an ape-like ancestor? What were Jesus’ views on when He created the universe? Matthew 22:21; Mark 12:17; Luke 20:25: about paying taxes to Caesar: if bearing Caesar’s image belongs to Caesar; thus man belongs to God because he is made in God’s image. 28 And God blessed them. And God said to them, “Be fruitful and multiply and fill the earth and subdue it and have dominion over the fish of the sea and over the birds of the heavens and over every living thing that moves on the earth.” Were Adam and Eve to “fill” or “refill” the Earth? What is the Dominion Mandate and how does it relate to Environmentalism? Is Christianity to blame for environmental problems? Global warming: what is ‘the creationist view’? 29 And God said, “Behold, I have given you every plant yielding seed that is on the face of all the earth, and every tree with seed in its fruit. You shall have them for food. What about genetic modification of food? 30 And to every beast of the earth and to every bird of the heavens and to everything that creeps on the earth, everything that has the breath of life, I have given every green plant for food.” And it was so. If all animals were originally herbivores how did the attack/defense features in many animals come about? See also the FAQ section here. When did meat eating begin? What about plant death before the Fall? 31 And God saw everything that he had made, and behold, it was very good. And there was evening and there was morning, the sixth day. What would a “very good” world be like? Can millions of years of death, disease and suffering be ‘very good’? Do the creation accounts in Genesis 1 and 2 contradict each other? Since God is still resting from his creative work today, is the seventh day a literal 24-hour day? Exodus 20:8–11: Fourth Commandment is based on Creation Week. This entails that the days of Creation Week were the same as those of our working week, or else this command makes no sense. 4 These are the generations of the heavens and the earth when they were created, in the day that the LORD God made the earth and the heavens. Genesis 2 uses a different name for God. How is that explained? Did Moses actually write Genesis? 5 When no bush of the field was yet in the land and no small plant of the field had yet sprung up—for the LORD God had not caused it to rain on the land, and there was no man to work the ground, Does this contradict Chapter 1 where it says plants came before man? 7 then the LORD God formed the man of dust from the ground and breathed into his nostrils the breath of life, and the man became a living creature. Did any people live before Adam and Eve? What is the connection between the first and last Adam. 1 Corinthians 15:47: The first man created from dust. 8 And the LORD God planted a garden in Eden, in the east, and there he put the man whom he had formed. Where was the Garden of Eden? Have the four rivers any counterpart today? Revelation 21: The New Jerusalem is presented as an Edenic city. 9 And out of the ground the LORD God made to spring up every tree that is pleasant to the sight and good for food. The tree of life was in the midst of the garden, and the tree of the knowledge of good and evil. Did eating from the tree of life impart immortality? If Adam would not have sinned, would he have lived forever? Was immortality part of Adam’s original state? 18 Then the LORD God said, “It is not good that the man should be alone; I will make him a helper fit for him.” Does the Bible teach that women are inferior to men? 19 So out of the ground the LORD God formed every beast of the field and every bird of the heavens and brought them to the man to see what he would call them. And whatever the man called every living creature, that was its name. How could Adam name all the animals? 21 So the LORD God caused a deep sleep to fall upon the man, and while he slept took one of his ribs and closed up its place with flesh. Do men have fewer ribs than women? 22 And the rib that the LORD God had taken from the man he made into a woman and brought her to the man. Creation for kids: She’s beautiful! because she was taken out of Man.” What about human evolution from apes? 24 Therefore a man shall leave his father and his mother and hold fast to his wife, and they shall become one flesh. Is it right for men to marry multiple women? Was there enough time on Day 6 for all the activities Genesis describes? Matthew 19:5; Mark 10:7: Genesis 1:24 is quoted as authoritative (the word of the Creator in Matthew), indicative of God’s original will for marriage, and (in Mark) that people were there “from the beginning of creation”, not billions of years after the beginning—see Jesus and the Age of the Earth. How do Mormons view the Fall? The Fall: a ‘glorious necessity’?! 1 Now the serpent was more crafty than any other beast of the field that the LORD God had made. He said to the woman, “Did God actually say, ‘You shall not eat of any tree in the garden’?” Did a snake really talk to Eve? When did Satan fall? Did Adam and Eve have free will? Creation for kids: Temptation John 8:44: The devil was a liar and a murderer from the beginning. Revelation 12:9 The great dragon was hurled down—that ancient serpent called the devil, or Satan, who leads the whole world astray. 3 but God said, ‘You shall not eat of the fruit of the tree that is in the midst of the garden, neither shall you touch it, lest you die.’” Did Eve sin before eating the fruit? 5 For God knows that when you eat of it your eyes will be opened, and you will be like God, knowing good and evil.” Where did evil come from? If there is no Moral Law Giver (God) then how can there be Moral Law? 6 So when the woman saw that the tree was good for food, and that it was a delight to the eyes, and that the tree was to be desired to make one wise, she took of its fruit and ate, and she also gave some to her husband who was with her, and he ate. What was the fruit that Eve ate? 1 Timothy 2:14: Woman deceived but Adam not. all the days of your life. A dust-eating snake? and you shall bruise his heel.” Protevangelion: first prophecy of the Messiah, the Seed of the Woman (implying virginal conception lacking human father), and a God-man. Isaiah 7:14: refers to the virgin, meaning a specific one already prophesied in a previous section of Scripture, i.e. the one who would bear the “seed of the woman”. and he shall rule over you.” Why is there pain in childbirth? and you shall eat the plants of the field. Why did God create bad things? Did God create other things along with the “thorns and thistles”? and to dust you shall return.” Was God’s curse on Adam fair? Was the entire universe cursed? 20 The man called his wife’s name Eve, because she was the mother of all living. Is there scientific evidence that all people come from one woman? 22 Then the LORD God said, “Behold, the man has become like one of us in knowing good and evil. Now, lest he reach out his hand and take also of the tree of life and eat, and live forever—” Did eating from the tree of life impart immortality? 1 Now Adam knew Eve his wife, and she conceived and bore Cain, saying, “I have gotten a man: the LORD.” Could Cain have been conceived hundreds of years after creation? Eve remarks after Cain’s birth, literally, “I have gotten a man: the LORD (יהוה YHWH)”. This would suggest that she thinks that Cain is the promised seed who will crush the head of the serpent (Genesis 3:15). Her theology is correct, in that the “seed” would be both man and God, but with a wrong application! 4 and Abel also brought of the firstborn of his flock and of their fat portions. And the LORD had regard for Abel and his offering, What is the link between the sacrifices and the Gospel? Hebrews 11:4: Abel’s acceptable sacrifice; he was one of the heroes of the faith, no less real than the post-Abraham ones. Matthew 23:35; Luke 11:51: Abel was a righteous man and the first one whose blood was unjustly shed. 13 Cain said to the LORD, “My punishment is greater than I can bear. 15 Then the LORD said to him, “Not so! If anyone kills Cain, vengeance shall be taken on him sevenfold.” And the LORD put a mark on Cain, lest any who found him should attack him. Cain’s descendant Lamech referred to this in v. 23. Did Cain really marry his sister? 19 And Lamech took two wives. The name of the one was Adah, and the name of the other Zillah. First instance of polygamy was by a murderer (see v. 23) in Cain’s line. 21 His brother’s name was Jubal; he was the father of all those who play the lyre and pipe. Were ancient people highly artistic? 22 Zillah also bore Tubal-cain; he was the forger of all instruments of bronze and iron. The sister of Tubal-cain was Naamah. Is there evidence that ancient people were highly intelligent? Jesus told Peter that he must forgive not just seven times, but seventy-seven times. The Greek phrase in Matthew is ἑβδομηκοντάκις ἑπτά (hebdomēkontakis hepta), the same as in the Septuagint of Genesis 4:24. Jesus may have been using an a fortiori argument with Genesis in mind: if the murderer Lamech could threaten 77-fold—practically unlimited—vengeance, then surely His followers could practise at least as much forgiveness. Luke 3:38 affirms that Adam was the father of Seth. Luke 3:38 affirms that Seth was the father of Enosh. Can the chronogenealogies in Genesis 5 and 11 be used to derive a date for creation? Origen and Augustine believed in a young earth because of this timeline. Could there be gaps in the chronogenealogies of Genesis 5 and 11? Could the ages of the patriarchs be expanded as they have been on other ancient historical records? With people living so long before the Flood, how many of the people listed in Genesis 5 and 11 were living at the same time? Why are the genealogies from Jesus to Adam recorded differently in Matthew and Luke? 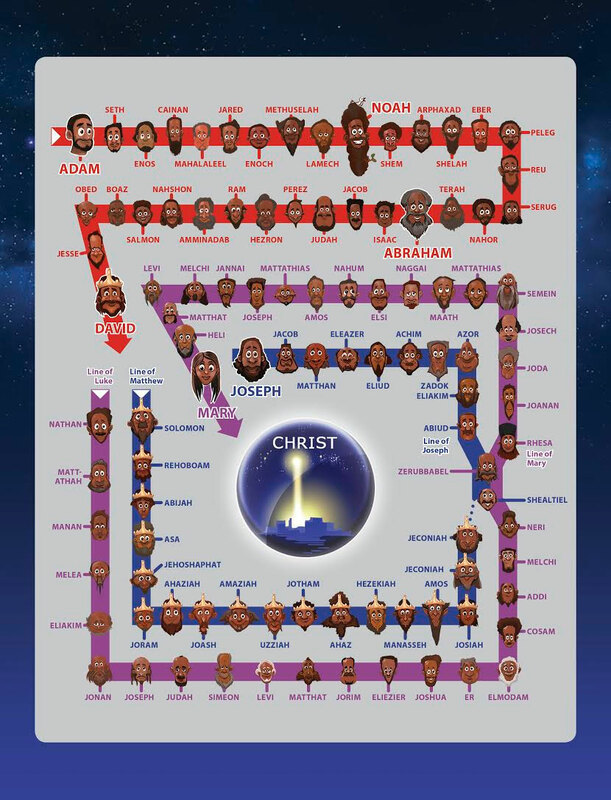 Acts 17:26: All the nations are descended from one man. 4 The days of Adam after he fathered Seth were 800 years; and he had other sons and daughters. 5 Thus all the days that Adam lived were 930 years, and he died. How did people live so long before the Flood? Would there have been more oxygen before the Flood—leading to health benefits? What about the ‘Canopy’ theory? 7 Seth lived after he fathered Enosh 807 years and had other sons and daughters. 8 Thus all the days of Seth were 912 years, and he died. 10 Enosh lived after he fathered Kenan 815 years and had other sons and daughters. 11 Thus all the days of Enosh were 905 years, and he died. 13 Kenan lived after he fathered Mahalalel 840 years and had other sons and daughters. 14 Thus all the days of Kenan were 910 years, and he died. 16 Mahalalel lived after he fathered Jared 830 years and had other sons and daughters. 17 Thus all the days of Mahalalel were 895 years, and he died. 24 Enoch walked with God, and he was not, for God took him. Hebrews 11:5: Enoch was one of the heroes of the faith, no less real than the post-Abraham ones. 25 When Methuselah had lived 187 years, he fathered Lamech. What does Methuselah mean? 27 Thus all the days of Methuselah were 969 years, and he died. Was Methuselah (who lived with Noah but was not on the Ark) not also a ‘righteous man’? Why wasn’t Methuselah on the Ark? 30 Lamech lived after he fathered Noah 595 years and had other sons and daughters. Which of the patriarchs lived at the same time? 31 Thus all the days of Lamech were 777 years, and he died. 32 After Noah was 500 years old, Noah fathered Shem, Ham, and Japheth. Who were the oldest, middle, and youngest sons? 3 Then the LORD said, “My Spirit shall not abide in man forever, for he is flesh: his days shall be 120 years.” Does this ‘120 years’ refer to lifespans or something else? 4 The Nephilim were on the earth in those days, and also afterward, when the sons of God came in to the daughters of man and they bore children to them. These were the mighty men who were of old, the men of renown. Who are the “sons of God”? Do the Nephilim reappear when Joshua enters the Promised Land, or when David killed Goliath? Numbers 13–14: not a reference to nephilim after the Flood, because it is citing a lying report from the faithless spies. 5 The LORD saw that the wickedness of man was great in the earth, and that every intention of the thoughts of his heart was only evil continually. How could a loving God wipe out so many people? Did Moses steal the Flood account from other ancient writings? Or was it the other way around? 13 And God said to Noah, “I have determined to make an end of all flesh, for the earth is filled with violence through them. Behold, I will destroy them with the earth. Does the text support a “local flood”? Genesis 6-9: does ‘all’ always mean all? 14 Make yourself an ark of gopher wood. Make rooms in the ark, and cover it inside and out with pitch. What is “pitch”? 15 This is how you are to make it: the length of the ark 300 cubits, its breadth 50 cubits, and its height 30 cubits. Have there been other large wooden ships like the Ark? How long exactly was Noah’s Ark? Which cubit for Noah’s Ark? 16 Make a roof for the ark, and finish it to a cubit above, and set the door of the ark in its side. Make it with lower, second, and third decks. Did Noah really build an Ark? How could ‘primitive’ people have built the Ark? 17 For behold, I will bring a flood of waters upon the earth to destroy all flesh in which is the breath of life under heaven. Everything that is on the earth shall die. Is there anything more catastrophic than a global flood? 18 But I will establish my covenant with you, and you shall come into the ark, you, your sons, your wife, and your sons’ wives with you. 19 And of every living thing of all flesh, you shall bring two of every sort into the ark to keep them alive with you. They shall be male and female. Could the Ark really carry all the animals required to get the millions of species we have today? What about dinosaurs on the Ark? How did dinosaurs grow so big? And how did Noah fit them on the Ark? 21 Also take with you every sort of food that is eaten, and store it up. It shall serve as food for you and for them.” What kind of food was eaten on the Ark? 22 Noah did this; he did all that God commanded him. What might Noah have experienced during this time in history? Hebrews 11:7: Noah as a hero of the faith, as real as those people after Abraham, for building the Ark. 6 Noah was six hundred years old when the flood of waters came upon the earth. When was the Flood? Matthew 24:37-39; Luke 17:26-27: The last days will be like the days of Noah. 11 In the six hundredth year of Noah’s life, in the second month, on the seventeenth day of the month, on that day all the fountains of the great deep burst forth, and the windows of the heavens were opened. What was the source of the water for the flood? If there was originally a single continent could could it have broken apart during the Flood? 12 And rain fell upon the earth forty days and forty nights. What might the rain have been like during the Flood? 18 The waters prevailed and increased greatly on the earth, and the ark floated on the face of the waters. What was the flood like? How violent was it? 19 And the waters prevailed so mightily on the earth that all the high mountains under the whole heaven were covered. Could the Flood have been a local event, covering only the Mesopotamian region? 20 The waters prevailed above the mountains, covering them fifteen cubits deep. Is there enough water to flood the whole earth? If the water covered the mountains, how did Noah breathe? 21 And all flesh died that moved on the earth, birds, livestock, beasts, all swarming creatures that swarm on the earth, and all mankind. If dinosaurs and humans died in the flood why don’t we see their fossils buried together? 22 Everything on the dry land in whose nostrils was the breath of life died. If all the land-dwelling, air-breathing animals died, what about marine life? How did plants and trees survive? 23 He blotted out every living thing that was on the face of the ground, man and animals and creeping things and birds of the heavens. They were blotted out from the earth. Only Noah was left, and those who were with him in the ark. Wouldn’t most human diseases have been wiped out at the flood? 24 And the waters prevailed on the earth 150 days. Is there evidence for a global flood? 1 But God remembered Noah and all the beasts and all the livestock that were with him in the ark. And God made a wind blow over the earth, and the waters subsided. Does the literary structure of Genesis support the ‘Documentary Hypothesis’? Debunking the Documentary Hypothesis—large-scale chiastic structure of the Flood narrative centres on this verse; points to a single author. 3 and the waters receded from the earth continually. At the end of 150 days the waters had abated, How quickly did the water rise to maximum depth during the Flood? Is there evidence for receding floodwaters? Water gaps through mountains: evidence of destructive channelized flow in the later Recessive Stage of the Flood. 4 and in the seventh month, on the seventeenth day of the month, the ark came to rest on the mountains of Ararat. Has Noah’s Ark been found? 14 In the second month, on the twenty-seventh day of the month, the earth had dried out. How long would it have taken for the earth to recover from the Flood? 17 Bring out with you every living thing that is with you of all flesh—birds and animals and every creeping thing that creeps on the earth—that they may swarm on the earth, and be fruitful and multiply on the earth.” If the Ark landed in the Middle East, how did animals get to places like Australia? 1 And God blessed Noah and his sons and said to them, “Be fruitful and multiply and fill the earth. If all people today came from Noah’s family, how did things like different skin colour arise? 3 Every moving thing that lives shall be food for you. And as I gave you the green plants, I give you everything. Should Christians only eat plants? for God made man in his own image. Does this support capital punishment? Matthew 26:52: Those who draw the sword will die by the sword. 10 and with every living creature that is with you, the birds, the livestock, and every beast of the earth with you, as many as came out of the ark; it is for every beast of the earth. Can all the species we have today come from the “kinds” on the Ark? 16 When the bow is in the clouds, I will see it and remember the everlasting covenant between God and every living creature of all flesh that is on the earth.” Did rainbows only appear after the Flood? No rainbows before the Flood? 19 These three were the sons of Noah, and from these the people of the whole earth were dispersed. If all nations today came from Noah’s sons, what similarities are there between flood legends all over the world? a servant of servants shall he be to his brothers.” Is dark skin the result of the curse on Ham/Canaan? 1 These are the generations of the sons of Noah, Shem, Ham, and Japheth. Sons were born to them after the flood. Does secular history mention anything about the nations originating from Noah’s grandsons? Does the current human population support that we all came from Noah after the Flood? Is there genetic evidence that we all came from Noah? 13 Egypt fathered Ludim, Anamim, Lehabim, Naphtuhim, Doesn’t the Egyptian chronology contradict the Bible? 21 To Shem also, the father of all the children of Eber, whose older brother was Japheth, children were born. 25 To Eber were born two sons: the name of the one was Peleg, for in his days the earth was divided, and his brother’s name was Joktan. Could this be referring to the breakup of the original continent? 32 These are the clans of the sons of Noah, according to their genealogies, in their nations, and from these the nations spread abroad on the earth after the flood. Could all the variation in today’s people groups arise since Noah? 2 And as people migrated from the east, they found a plain in the land of Shinar and settled there. What happened at Babel? Is Shinar west of where the Ark landed? 6 And the LORD said, “Behold, they are one people, and they have all one language, and this is only the beginning of what they will do. And nothing that they propose to do will now be impossible for them. 8 So the LORD dispersed them from there over the face of all the earth, and they left off building the city. 9 Therefore its name was called Babel, because there the LORD confused the language of all the earth. And from there the LORD dispersed them over the face of all the earth. Is there evidence that languages originated at Babel? Don’t ancient civilizations predate the Flood? In the days of Peleg—Ancient documents are consistent with the total accuracy of the Bible’s chronology. Doesn’t Chinese history begin before the Flood? 10 These are the generations of Shem. When Shem was 100 years old, he fathered Arphaxad two years after the flood. What caused the massive drop in lifespans after the Flood? 11 And Shem lived after he fathered Arphaxad 500 years and had other sons and daughters. 12 When Arphaxad had lived 35 years, he fathered Shelah. What about the ‘extra’ Cainan mentioned in Luke 3:36? 13 And Arphaxad lived after he fathered Shelah 403 years and had other sons and daughters. 24 When Nahor had lived 29 years, he fathered Terah. Did Terah have triplets when he was 70? 29 And Abram and Nahor took wives. The name of Abram’s wife was Sarai, and the name of Nahor’s wife, Milcah, the daughter of Haran the father of Milcah and Iscah. 31 Terah took Abram his son and Lot the son of Haran, his grandson, and Sarai his daughter-in-law, his son Abram’s wife, and they went forth together from Ur of the Chaldeans to go into the land of Canaan, but when they came to Haran, they settled there.